Every sport has a typical style that is generally worn during participation and golf is certainly no different. Whether you’re a seasoned low handicapper or a newcomer to the game, it is important to know how to dress for the sport. Here at Bobby Jones, we will give you the basics on what to wear on the golf course so you will look good, feel good, and play with your best spikeless foot forward. 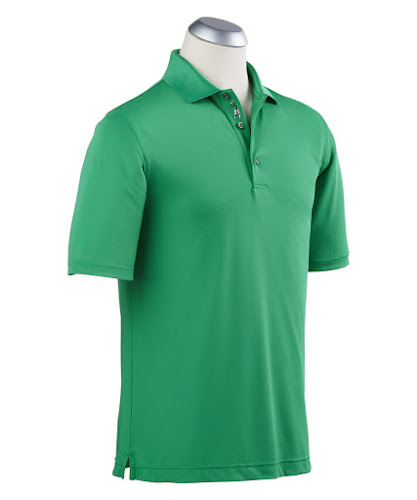 For men, a collared shirt is a definite golf green staple to have. While T-shirts and V-necks may be allowed on some public courses, they are not considered to be acceptable course wear for golfing. As a rule of thumb, it is best to stick to a classic collared counterpart, like the polo. Being neat and tidy is an extremely important part of dressing, so make sure your collar is folded down and not flipped up. Another faux pas to avoid is the unsightly untucked shirt. Women have a lot of more options when it comes to tops on the golf course. Polos, while still a popular choice, come second to blouses with a variety of different collars and sleeves. Even though collarless and sleeveless tops are generally not allowed on men, women have the luxury of choice. Some courses allow more fashion-forward looks like long-sleeve mock turtlenecks and collarless tops, along with sleeveless blouses. Similar to men, t-shirts, halters, tank tops, and tops that show too much skin or cleavage should be avoided on the green. Golf is still a rather conservative sport and one should dress accordingly. When the sun starts setting earlier and the temperature drops, a jacket of some sort becomes a necessity for any type of golf playing. For both men and women, while most outerwear is acceptable to wear, it is best to keep your outerwear form-fitting and not baggy, as some courses will not only deem that as unacceptable wear, but it can also interfere with your golf swing! 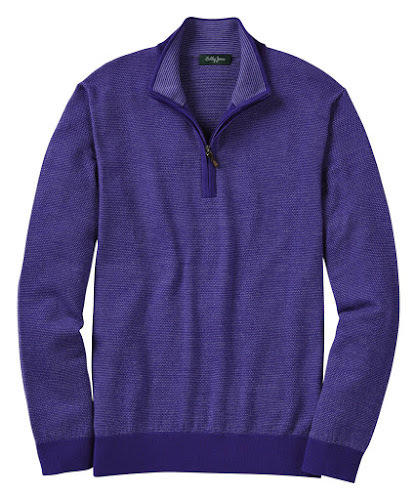 Instead, opt to a nice sweater such as a V-neck, quarter-zip, or vest. Any type of loungewear, like hoodies, jackets with large commercial designs, and leather jackets should always be avoided at all cost. When it comes to pants, denim, and sweatpants should never ever cross your mind. For men, shorts are a tricky one to tackle with certainty because while many courses allow dress shorts, some private courses and high-end public courses may not allow shorts at all. But what we are sure of is that cargo shorts and athletic shorts will never have a place on the links. 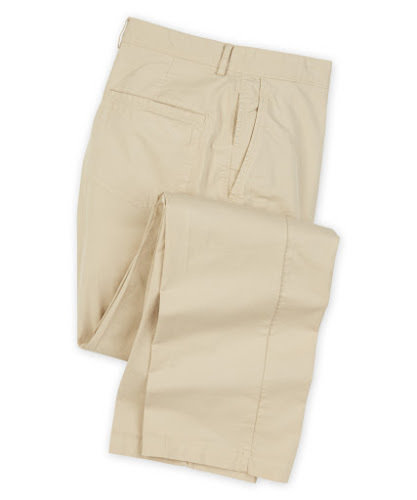 Fitted pants are the safe way to go—you can never go wrong with a pair of khakis and corduroys. Be sure to throw on a nice leather belt since your shirt will always be tucked in! When it comes to bottoms for women, there are, again, more options for them to choose from! Slacks are very commonly worn during the colder months while capris, crops, shorts, and skorts are worn on warmer days. When choosing the shorter options, length is a big issue to keep in mind. Lengths should be no shorter than fingertip length as this is considered inappropriate, or more than six inches from your knees. Always avoid wearing denim, jeans, dresses, sweatpants, and athletic pants as all of these are improper on the course. Although not required on most courses, golf shoes can be a great investment as it can modify the way you play. Created to keep your feet from sliding on the grass, the right pair of golf shoes can improve your swings. Spiked or spikeless golf shoes both exist, but make sure to check what your golf course allows. However, if you’re not an avid golfer and do not want to splurge, a pair of tennis shoes is also acceptable. Any type of open toed shoes, cleats made for other sports, boots, and tennis shoes with overly colorful patterns should be left at home. To accessories, hats and gloves are the way to go! If you choose to wear a hat make sure that you are wearing your brim forward and bent, no flat bills should be worn. Hats such as bucket hats, fedoras, sun hats, and fedoras can also be very fun options that add a little something to your look! Golf gloves can add a nice touch to any outfit and, while they are not required, they can also help you get that extra grip on your club to keep your swing in balance. Off-course apparel and on-course apparel do not vary much for men and women with the exception of their accessories like hats, gloves, and shoes. 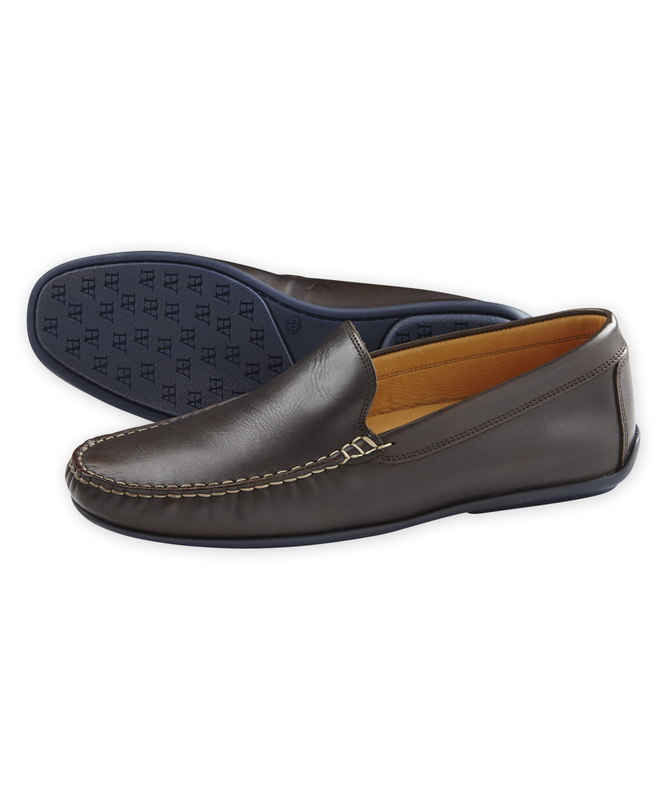 For the clubhouse, a pair of leather loafers is a comfortable and stylish pick for men. Street shoes are normally required for any time of off-course activity so be sure to bring a pair to change into when you are done with your round. Hats and visors are always encouraged for spectators on sunny days but should not be worn inside of a clubhouse. As a general rule, make sure you are color coordinated to ensure you can look always your best when on the course! Hopefully these tips and tricks will make getting dressed for a round on the golf course easy so you can spend less time in front of the mirror and more time focusing on your swings!